We share this article that appeared in the Philippine Daily Inquirer last 4 May 2013, written by Dr. Edilberto “DJ” De Jesus who served as Secretary of the Department of Education (DepED) from 2002 to 2004. It was during his term that the Apu Palamguwan Cultural Education Center or APC was recognized by DepED and given a permit to operate as an elementary school for indigenous children. I have participated in many commencement exercises, and presided over a number of them. 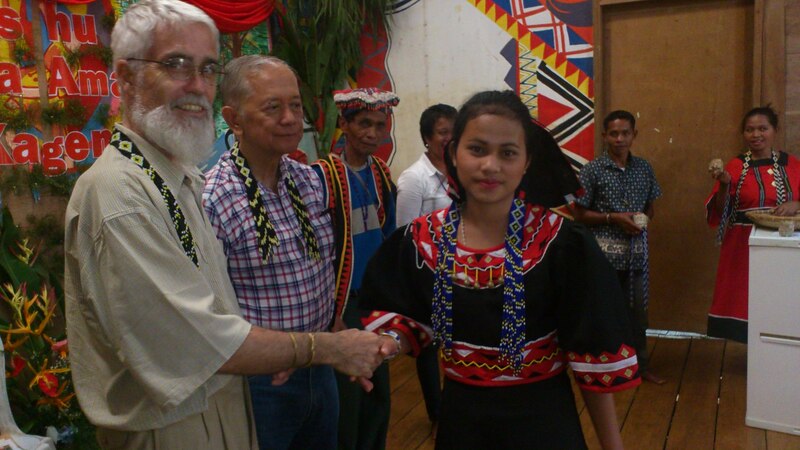 None was more memorable or more moving than the graduation I attended three weeks ago at the Apu Palamguwan Cultural Education Center (APC) in Bendum, Bukidnon. APC is a school established 20 years ago by Pedro Walpole, SJ, for the communities of Indigenous Peoples (IP) scattered on the Upper Pulangui watershed. The 2013 graduating cohort consisted of 11 students—seven boys and four girls, ages 12 to 16, who had completed their elementary education. The ceremonies spanned the whole day and served as an occasion for communal celebration. Shortly before noon, the elders started laying out banana leaves on the floor along the length of the long house. The graduates occupied the middle area of the central lane, with their parents behind them. 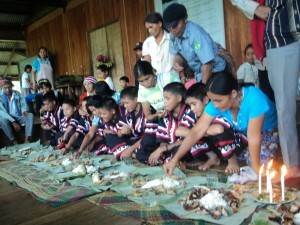 Along with mounds of rice and pancit served on the banana leaves, they received the choice cuts of boiled chicken and pork. After prayers offered by Datu Nestor Menaling, the parents of the graduates took food in their hands and fed it to their children. The graduates then took food in their hands and placed it in their parents’ mouths. Through this exchange, the community affirmed the process of generational transmission. As the parents had taken care of the children, the children now began to assume the responsibility of caring for their parents. We were honored guests expected to partake of the feast. The huge plateful of rice heaped on the banana leaf that my daughter and I shared was quite intimidating. Pedro explained the abundance: the guests would wrap up in the banana leaf what they did not finish for the trip home, a walk that would take some travelers 11 hours. Most guests actually finished the food placed in front of them; we passed on to two men sharing a banana leaf beside us the food we had set aside as beyond our capacity to consume. After breakfast the following morning, APC had to provide additional food to the guests for the homeward trip. The actual conferment of the “diploma” took place in the afternoon. Each graduate was introduced to the assembly and then went up the stage with their parents. Datu Menaling had to summon the mother or the father who was too shy to mount the stage. The salutatorian and valedictorian were two 16-year-old girls from outside Bendum. Before APC and the chance for an education, both would likely have married at 14 and already borne at least one child. Datu Menaling had teased the girls about arranging for their marriage. 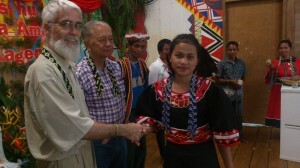 But both had expressed a desire to go to high school in the town of Zamboanguita, a three-hour walk away from Bendum. I left the graduates to celebrate with their families and friends. 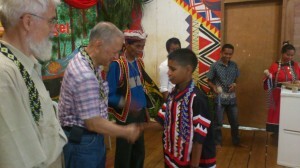 I talked instead with a fifth-grader, Enson Suldawan, the 10th of 11 children from a family in Camalangan, Agusan del Sur. Enson did not know the day or year of his birth; he and APC chose June 12, 2002, as his birthday. At 11, by APC reckoning, Enson walked with his 14-year-old brother, Miko, to Bendum where Miko was already studying. “Walking” does not do justice to the journey. It meant climbing over a mountain, clinging to vines to clamber down a waterfall, and crossing rivers to complete an 11-hour trek. Enson arrived a month late for the school year. Lay administrators felt he had lost too much time to join the class, but Pedro decided that Enson had earned a place among the 20 students boarding at APC. Enson liked math and could handle Cebuano, but admitted problems with Filipino. 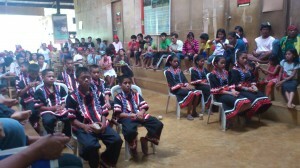 APC used Pinulangiyen or Binukid, the indigenous language, as the medium of instruction. I talked to him in Filipino, with his teacher, Maribel Porras, doing Cebuano translation. The children actually study English as well. Enson also enjoyed “Cultural Studies,” where children learned Binukid and the way of life of the Pinulangiyen. IP children like Enson face daunting odds. Completing APC’s elementary curriculum opens a window of hope. IP education is not just about teaching in the mother tongue. 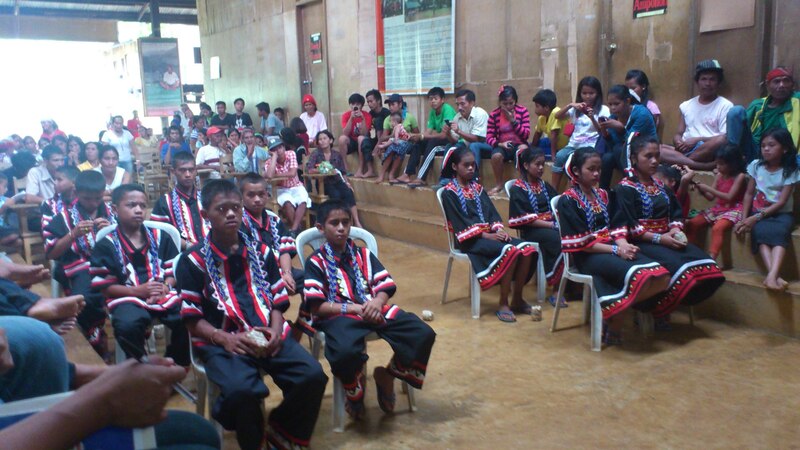 For APC, it is about giving the children a chance to learn their community’s values and traditions. Children acquire in school numeracy and literacy in Binukid and Cebuano. More important, they develop with these skills an appreciation of who they are, a sense of identity, and a feeling of self-worth. This is, perhaps, what empowers a 16-year-old girl to stand up to the elders and to say she will not marry until she is educated. No mean achievement, that empowerment is a necessary step toward inclusive development. M ore IP children need this kind of education. Support from both the government and the private sector will enable APC to do more. Edilberto de Jesus is professor emeritus at the Asian Institute of Management.